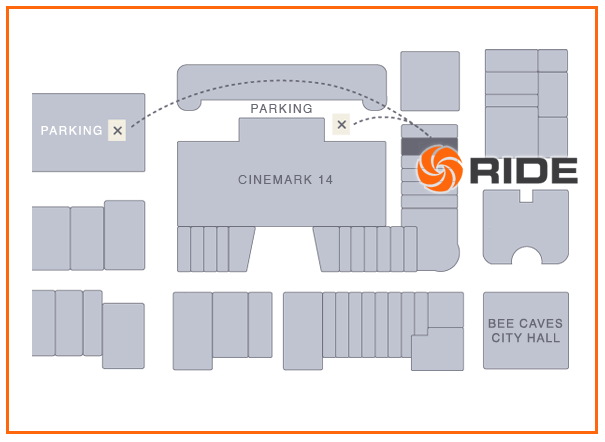 RIDE Indoor Cycling is located at 12800 Hill Country Blvd. on the central plaza of Hill Country Galleria near Bee Cave City Hall. FREE Parking is available behind the studio on the surface parking lot and parking deck.